may possibly come to care, some day, for good books. ~ C. S. Lewis, The World's Last Night. 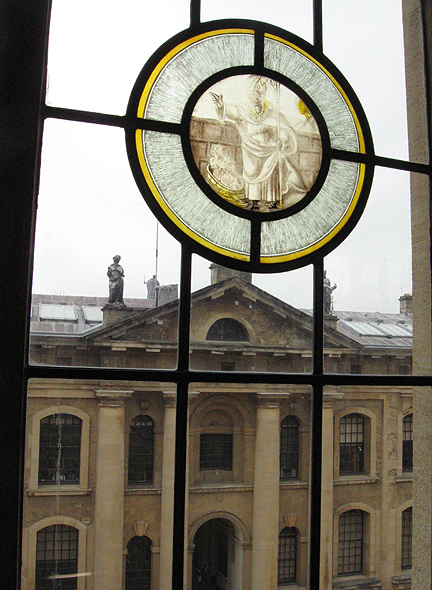 Beginning to look back at my studies at Oxford, and how they continue on, my sense of direction is reinforced. While thoughts linger and digest the rich experiences of the late-summer and early autumn past, I proceed to absorb new learning with renewed perspective. Though I’ve been backlogged in my writing projects, I’ve continued my usual reading and note-taking. It seems natural to nurture a thirsting spirit with persevering studies into inspiring literature. It is also evidently unavoidable. Just the other day, at the Boston Athenaeum, the slant of late-day light streaming in through west-facing windows lit the small ancient book in my hands. The side-lighting cast shadows from paper fibers and into typographic embossed crevasses. Such tomes that reflect the light of this very day attest to worlds and times beyond the generations of our ancestors. As with the memories and lyrics we carry with us, so our received words of inspiration help to carry us along this earthly sojourn. That which I have beheld and handled, and have even listened to, in the tones of written words, occurs to me now as having been made available to me. Whether across millennia, centuries, or modern decades, enduring words are gratefully received as they are handed down and across to my fledgling hands. 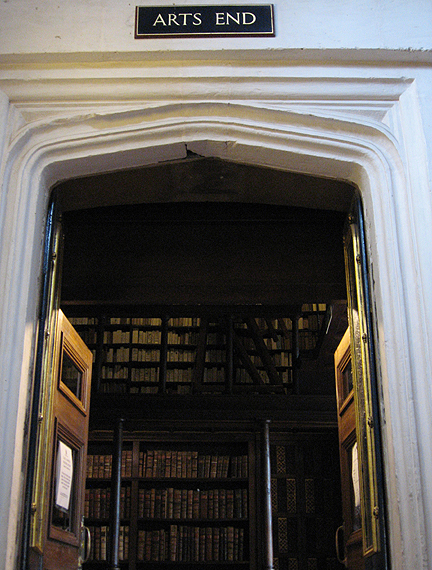 At the Bodleian Library, the books and documents of my studies came from many different places- and I myself had done so, too. Words and images have reached me, as I have reached for them, and their origins share a collective mystery with their conveyance to this present era. At Oxford, I was elated to find the Bodleian preserves and maintains a manuscript of Johannes Scottus Eriugena (9th c.), who has been dear to me for many years. 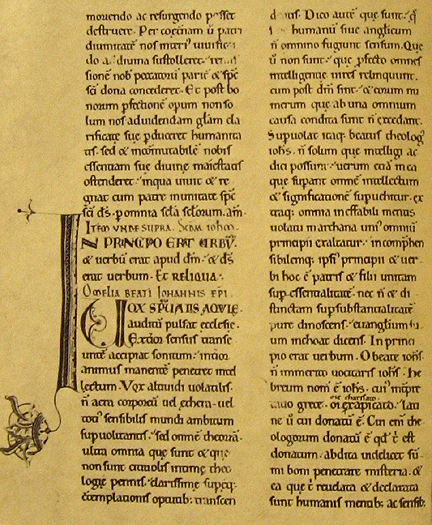 Supporting research into the works of his thought, the library also includes a collection of printed offerings about Eriugena and early Medieval philosophy. I even found a contemporary publication about Eriugena, at the Oxford University Press bookstore, and added it to my own collection. The constraints of long-distance travel limited how many books I could fly back with (and how many I could mail), due to their weight. 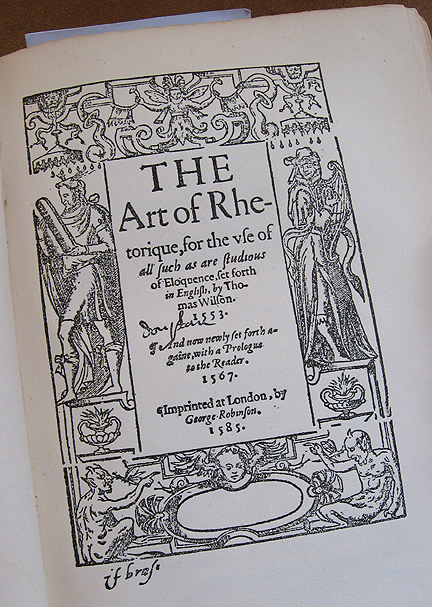 Another volume well worth procuring was a book I learned about as my steps traversed paths left by Tyndale (16th c.), and that is Sir Thomas Wilson’s Arte of Rhetorique, originally published in 1553. The edition I purchased is an imprint published at the University’s Clarendon Press in 1909. 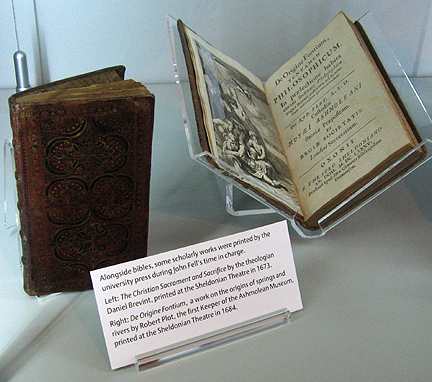 It had been artfully made to replicate the quality of a 16th century book, using thick paper stock, replicating the original typography, marginalia, and frontispiece illustration. 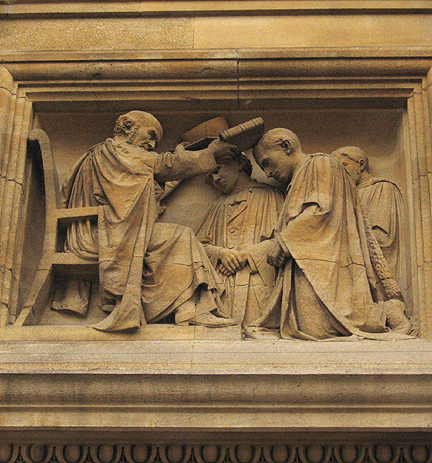 Written by the headmaster of Magdalen College, the work itself had been a textbook used at Oxford in Tyndale’s years, and had instructed and influenced countless scholars. 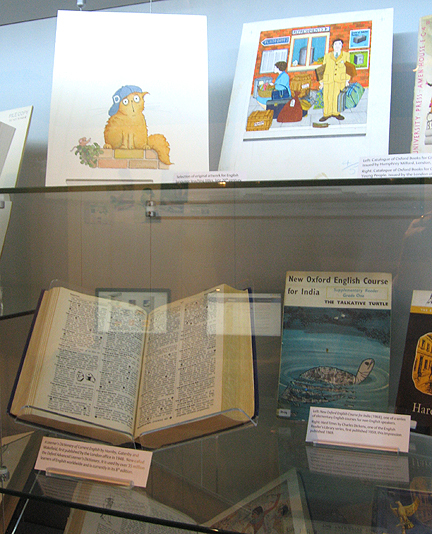 Its themes treat the subjects of eloquence, oration, and the clear organization of knowledge. 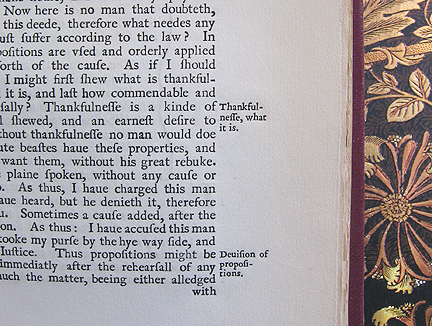 Often the text blends in the author’s reasons for clarity of thought, which are to reflect the sacred. 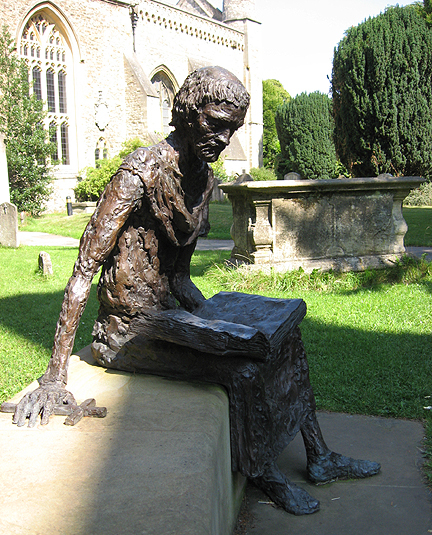 Sir Thomas dares his readers to excavate the ways of holiness: “Who would digge and delve from Morne till Evening? 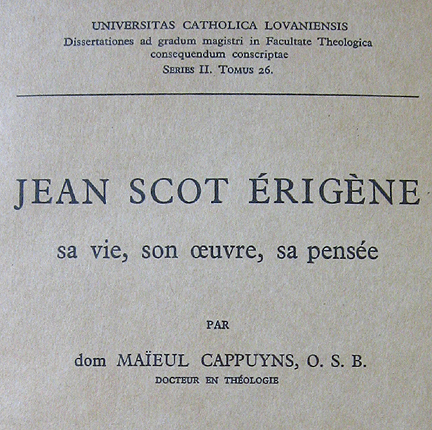 Who would travaile and toyle with ye sweat of his browes?” The wise advice presented by the book is strongly reminiscent of Eriugena’s spirit of division and recollection (divisoria et resolutiva). Ancient guides continue to teach. 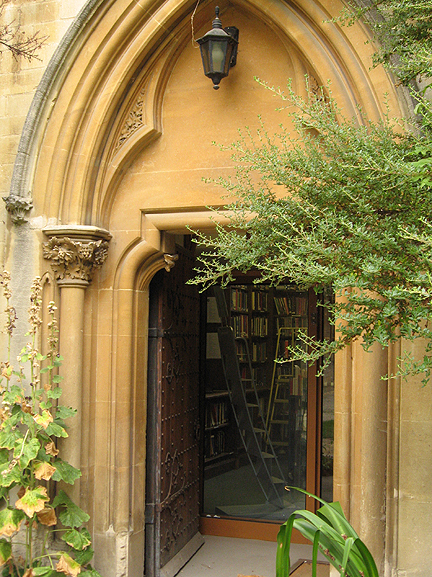 Being an archivist and conservator by trade and livelihood, I was graciously introduced by the Bodleian staff to the university’s conservation department, known as Collections Care. Responding to their generous invitation, I was privileged to spend a day at the bindery and laboratory. 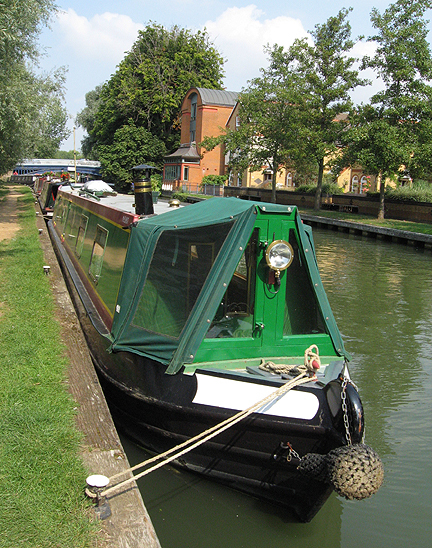 The department is located in Osney, along the River Thames, in a western district of the city. Reaching the “Osney One” complex from the university provided an opportunity to walk along a very narrow stretch of the river. 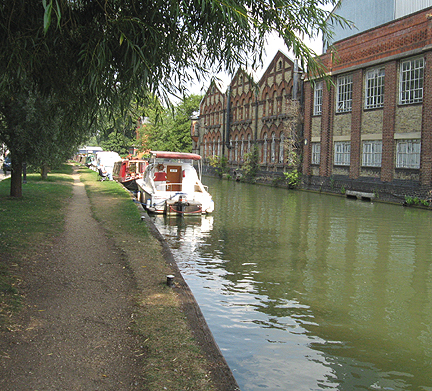 Lined with canal boats and trees, the walk to Osney is a meditative diversion from the city center’s density and crowds. Repositories of rare and archival research materials balance the tandem mission of preservation and access. We preserve in order to assure availability. There may seem an inherent conflict, as handling could be seen to be endangering preservation, and watchful conservation could be seen as an endangerment to potential handling. 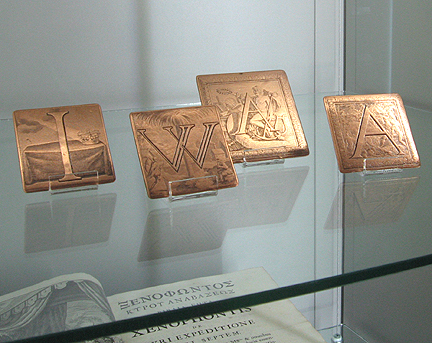 Inevitably, research libraries establish workable compromises that protect the integrity of original artifacts, while also extending opportunities to readers. Continuity in physical conservation parallels the continuum of scholarly access. 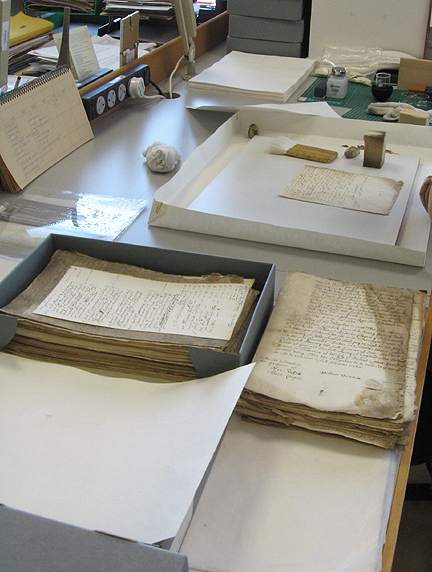 The paper conservators at Osney demonstrated how they had been processing the personal papers of radio pioneer Guglielmo Marconi, as the collection had been accessioned by Oxford. 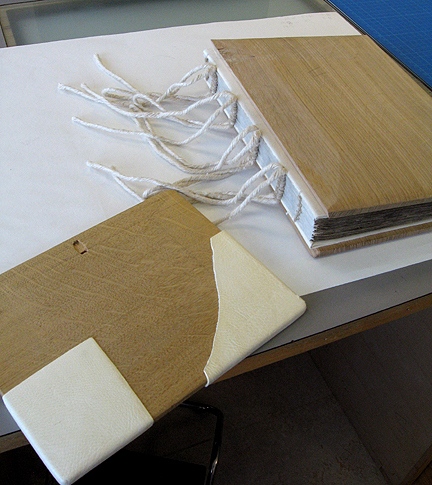 The documents were being mounted in fascicules, which are interleaved archival albums. 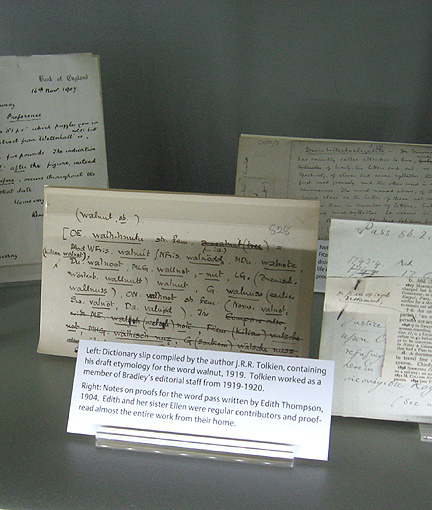 The same treatments had been done with the C. S. Lewis papers, and subsequently as I proceeded with my studies in the research rooms, I remembered what I had seen at Osney. 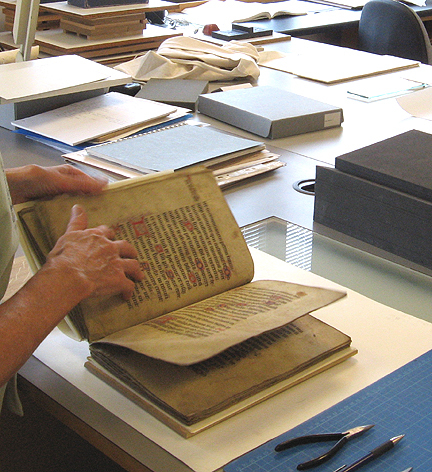 Careful inventorying, cataloguing, and physical treatments all happen before a manuscript or rare book reaches the library shelves and reading tables. wooden boards, to be covered with new leather. Along with some great discussions about our respective projects, we examined the conservation phases of a medieval book of hours. 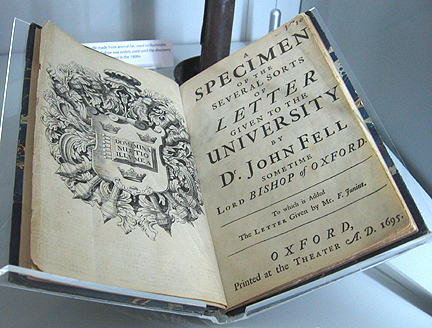 The book had been purchased for the university, because in its contents there is mention of Oxford. 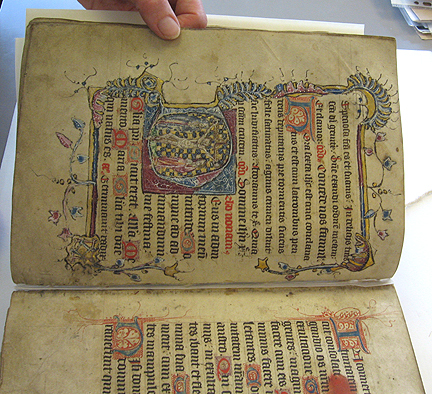 Requiring a full-scale restoration, the book needed to be rebound and recased using the most authentic materials possible. 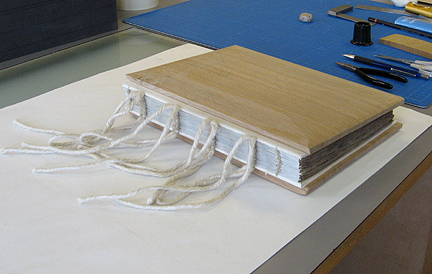 A specific type of leather was chosen, to stretch over the new signature cords, and custom shaped wooden boards that had been purchased from a lumber company in Wales that supplies the Bodleian Library. There are numerous such tomes in the Library’s collections, each requiring their own treatments- whether extensive or simple maintenance. Archival material has its own axiology, and we speak of the value of the original artifact as being evidence of an action, or a person’s creative thought, or the documentation of decisions. The intrinsic value of a manuscript often refers to the integrity of an original artifact which cannot be replicated because it is the item that had been written upon, owned by a specific person, or had made a historic voyage. 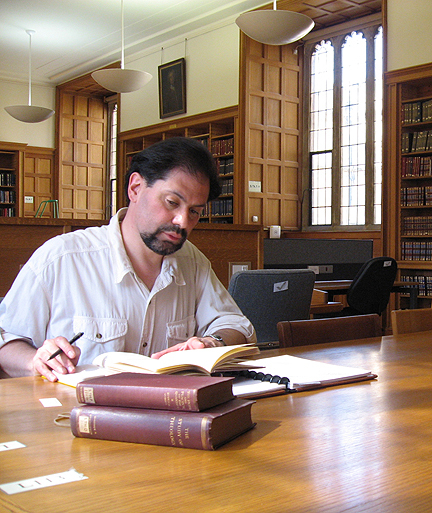 Written words are preserved and rejuvenated by conservation. 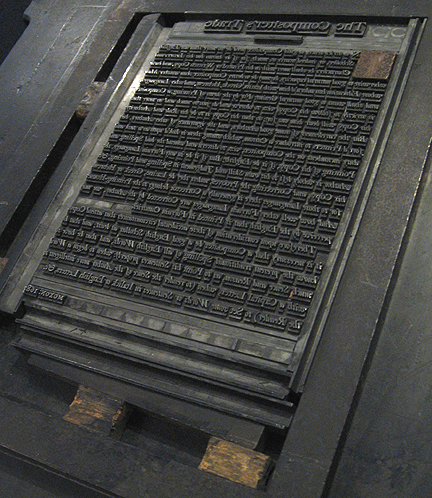 For centuries, the printed word has been produced with presses, bound, and further extended. 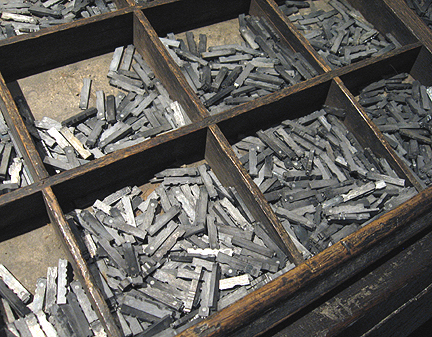 (Electronic formats extend the contents of the printed word still more.) During my residency in Oxford, I had the pleasure of visiting the famous Oxford University Press, and meeting with their archives’ staff. 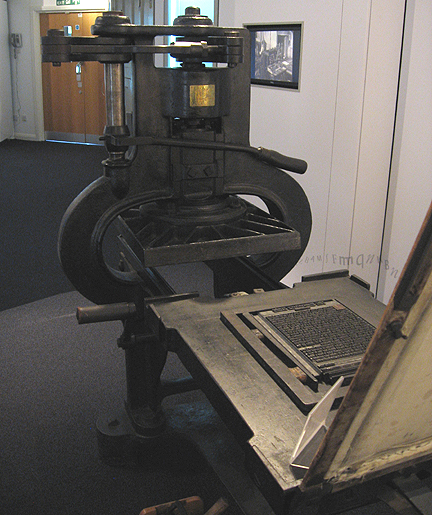 The Press is a department of the University, and its printing operations began in 1478, shortly after Johannes Gutenberg’s innovations with moveable type and printing presses. 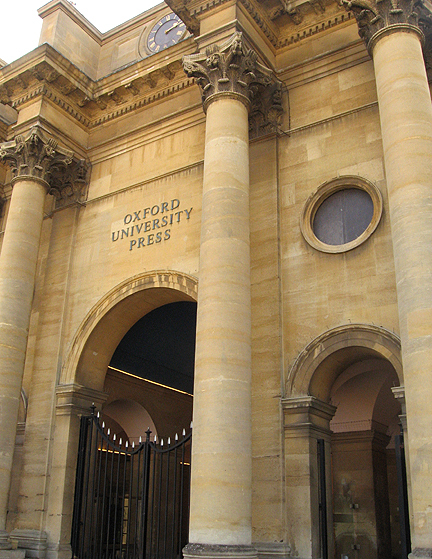 Oxford University Press has been at its present location, on Walton Street, since 1830, having been previously based in the Sheldonian Theatre (in the 17th century), and in the Clarendon Building (in the 18th century). 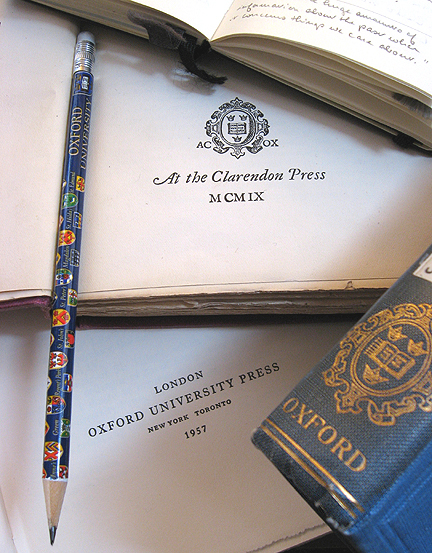 It came to mind how great many of my graduate school texts were produced by Oxford, which also includes their academic Clarendon Press. 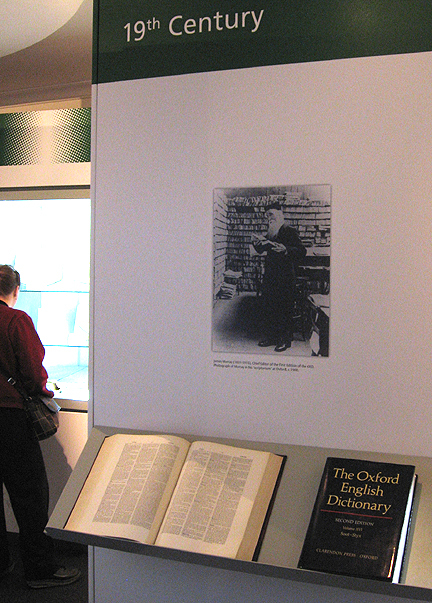 The large buildings at Walton Street include an informative gallery of artifacts displaying milestones in the continuing history of Oxford University Press. A visit is well worthwhile. J.R.R. Tolkien, who contributed to production. 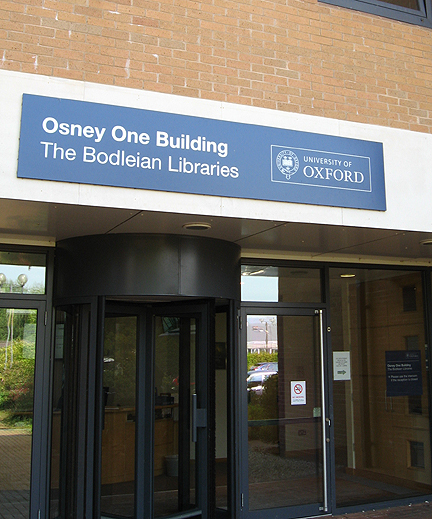 Returning to my work at the Bodleian Library, I unavoidably noticed spine labels bearing the Oxford Press imprint on countless books in the reading rooms and aisles of shelving. I subsequently noticed this, back in New England libraries, and amusingly back in my apartment. As with my research, the visits with Collections Care, as well as Oxford University Press, have added an enhanced sensitivity to the artistry related to the sustenance of written artifacts. Travelling on, and reading on, written and printed words speak in bolder tones to my mind’s ear. 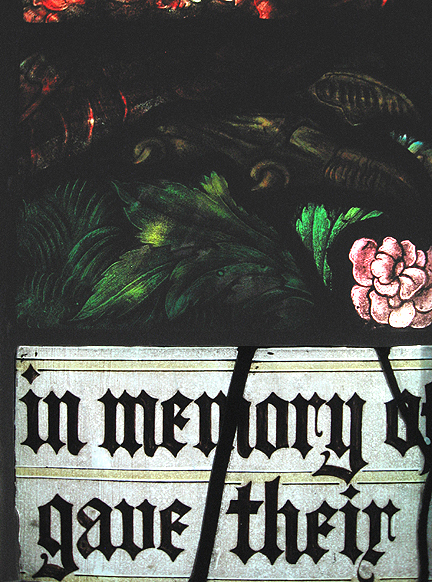 Readings which inspire most embody a totality of sound, substance, and typographic aesthetic beauty. Illuminated thoughts reach me by reflectant pages. Words combine to transfer a message which is received and transposed by my reading. Or by your reading. Written words adorn the roads of our reading voyages, and I have seen my own path has definitively navigated ports and passages of places which inspire future articulation.